I think many people will agree that going to University is a pretty big step! First of all, there's all the costs associated with being a student, whether it be travel, food, books or accommodation. Then the whole transition from being in a school/college with familiar teachers to being in a big University with adults, and having total independence concerning your studies. Finally, there's the intense workload during term times and the (deserved) extended holidays. In this post I am going to try to inform you of what you need if you're starting Uni, and if you're going back then what to do differently. First of all, you need to stay organised! The reason being it all starts off slow, and then suddenly you find yourself with exams approaching and barely any time to sort anything out! The year flies by! 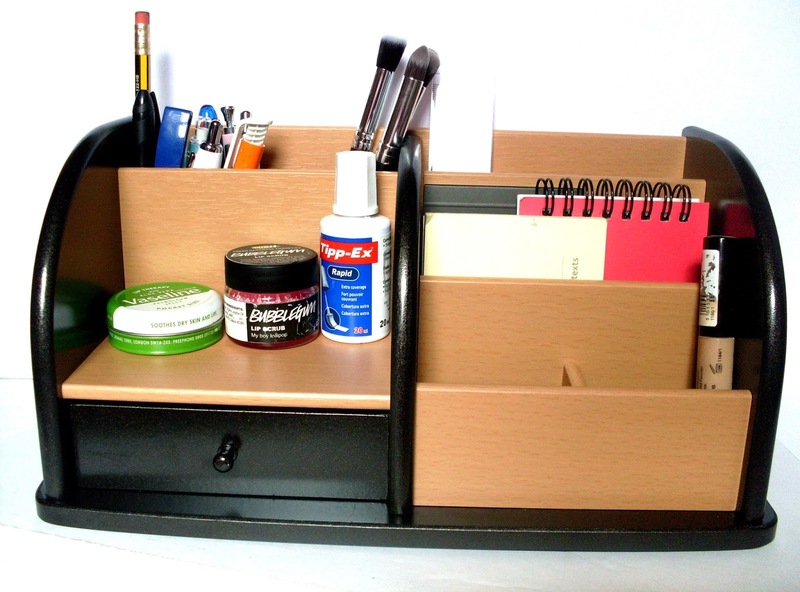 Having adequate space can be a problem too sometimes (what with all the folders, books etc) so a desk tidy* like this can be very useful. My desk used to be so cluttered I found it hard to sit down and do work. Now I have everything on hand and it's not getting in my way. As you can see, I have pens, pencils, rulers, some makeup brushes, lip products, tippex, notebooks, paper clips and my grab and go makeup in mine. There's also a handy little draw to hide things in. It's also a myth you need to buy so many pens and penils, I have so many left over from freshers fair, as well as lot's of little highlighters that are perfect for taking with you. I know what you're thinking, Muji like storage! This is such a high quality product and it looks so lovely in my room. I use the top drawer to put my highlighters in. I prefer to use these highlighters at home, plus they last a really long time whereas cheaper highlighters run out very quickly. I then use my middle drawer to put some pens and other little bits. I have some small scissors, as well as a USB stick which is vital for saving your work from Uni computers (you may also get given these at freshers). Lastly, I use the bottom drawer to put post its and any lip products I'm using. I really love how this acrylic drawer makes it easy to remember where you put your things and you don't have to rummage around a pencil case (normally you'll find you only need a pen for lectures and a notebook). You can get it from Viking here for only £12.40* and an 8 pack of the Stabilo highlighters here for £5.84. 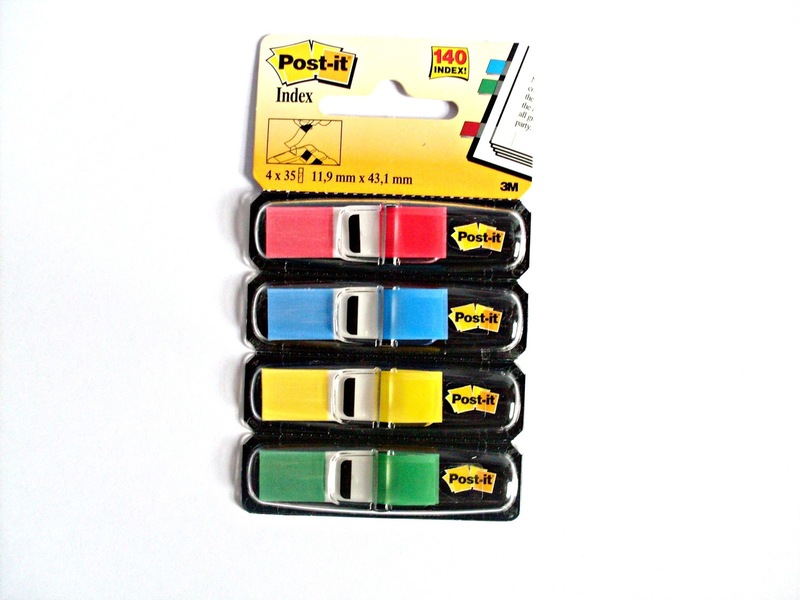 These post it index* stickers are incredibly useful. The reason being is that no matter what degree you're doing, you will probably have to write atleast a few essays. Lecturers love seeing you using references, and these tabs allow you to bookmark the book exactly where you got that idea, and you're expected to write a full reference list detailing that (or you will get in trouble for plagiarism). These were on sale for less than £2 when I got them. Lastly, I would even say that refill pads/ project books are the most important equipment you can have. Whilst you may annotate your notes on your lecture slides, you will need a refill pad (or notebook) for tutorials (which are like classroom work) or for writing up your notes at the end of the module. Pukka Pads are some of the best quality refill pads (I go though about 2 a year) but are quite expensive. At Viking you can get 3 for £8.99. I then like to sum up my notes in these project books, with different sections for each module. They are currently on buy one get one free, so it works out at £4, and you can't really get Pukka Pads for cheaper. Viking basically have everything stationary and organisation wise you could need at University, so it's worth having a look. Not everyone will buy the books, but you don't want to be reserving a book one week before exams that hundreds of other students are (as they won't have enough). Books are very expensive, unless you're one of those lucky people that doesn't need to buy them/ only has a few essential books. I had atleast 10. You will often be found on the University computers. There will be people that don't turn up to one lecture and state they only need 40% to pass onto the second year, 'it's not like the first year counts' according to them. If you have to pay for your printing, it will be a drain. Use your student card that you are given (for free) to ask for student discount whilst shopping. You can also shop online using unidays by entering your uni email address. Group work is hard and tiresome, most of the time you're automatically put into groups with no choice, and yes you will carry some people. You don't have enough time to revise for Christmas/January exams as you think, so again I'd recommend you to atleast stay organised during term time so you can start your revision earlier. Do you have any tips about University you'd like to share, or any experiences? Wow, the highlighters in the acrylic box look so good! I really like the way you've organised these, especially the desk tidy! 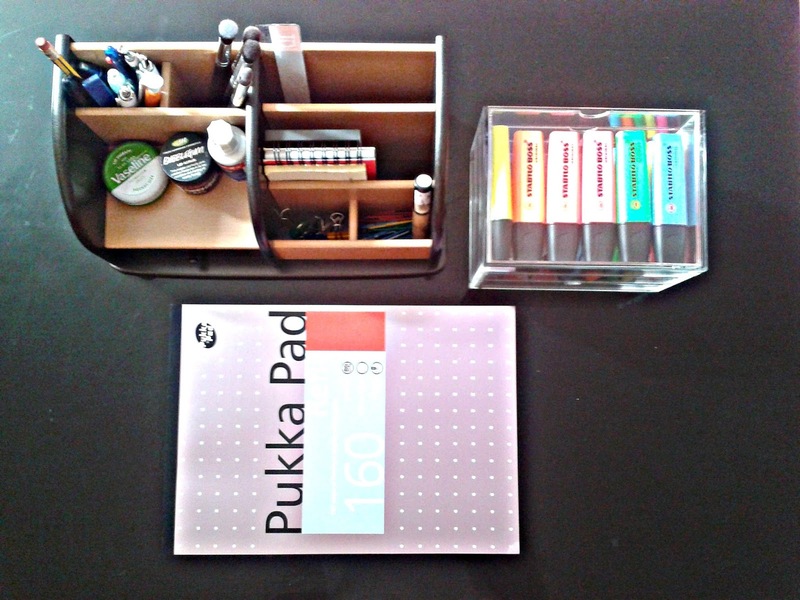 This is such a good post - definitely need some Muji storage for my stationary as well as make up! If I had one tip for university I'd probably say to make sure to stay on top of everything! Keep lectures notes organised, and write them up in neat (if you do that) ASAP after the lecture. I'd also say constantly go over your notes and lectures throughout the year - it really helps when coming to revision! I apologise for self promotion but I have some advice on my blog for anyone who is off too Collage/Sixth Form! I'm going to try and use them, but I just haven't started! It's always the first step that's the hardest! Organised Home This post is very simple to read and appreciate without leaving any details out. Great work!